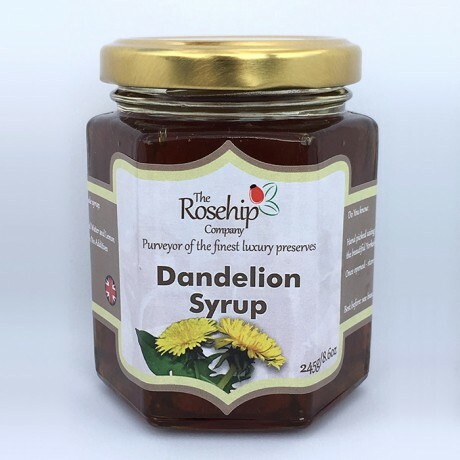 The Rosehip Company pride themselves in only using natural products, made the traditional way in small batches to ensuring that their Dandelion Syrup retains all the natural goodness, flavour and colour, with no additives or preservatives. They only use the finest handpicked produce from the beautiful Yorkshire countryside. Taste very nice I love it! Rosehips from the banks of the River Calder take centre stage in handmade jams and coulis.